Recently Thomas Hauner, Suresh Naidu and I published the draft of a joint piece (here and here) that examines empirically several links in the Hobson-Lenin-Luxemburg theory of imperialism. I will not discuss it here (the interested reader may consult the first section of our paper) because I would like to focus on another contemporary theory of imperialism, Schumpeter’s. Schumpeter’s theory is interesting for several reasons. It was formulated at the same time as Lenin’s and Luxemburg’s and clearly with the knowledge of the two. It reacts to the exactly the same events as theirs. It is different though and it was held by Schumpeter throughout his life. The key text for Schumpeter’s theory is “The sociology of imperialisms” (note the plural) published in 1918-19. It is a very long essay of some tightly printed 80 pages in its English translation. Schumpeter did not change anything (of substance at least) to the theory as can be seen from its brief reappearance in his “Capitalism, socialism and democracy” (CSD), published in 1942 (and republished many times since). What Schumpeter says is the following. Imperialism, most purely defined, is “objectless”, that is, it is not directed against something or somebody that can be shown to impede one’s interest. It is thus not rational: it is a simple will to power. The canonic examples, according to Schumpeter, are Assyrians, Persians, Arabs and Franks (all four discussed quite extensively). He then adds Rome where imperialism reflected class interests of the upper strata and where Schumpeter’s analysis is as materialistic as it can be. (And he has some especially nasty things to say about Rome which for the interest of space I will have to skip). Now, imperialism as such is atavistic and in contradiction with “normal” capitalism which is rational and individualistic and whose objectives can be much better achieved in peace and by peace. We should thus expect imperialism to diminish as capitalism becomes stronger. The least imperialistic are the most capitalistic countries like the United States. This, I think, is the usual reading of Schumpeter’s theory and it can be related to similar theories from Montesquieu’s doux commerce to Doyle’s democratic peace (although Schumpeter really talks about capitalistic peace). However, I think that an alternative reading of Schumpeter is possible, based on his own writings and view of capitalism. In “Imperialisms…” Schumpeter allows that imperialism can appears in capitalistic societies. But there “we must evidently see [imperialistic tendencies] only as alien elements carried into the world of capitalism from the outside, supported by non-capitalistic factors in modern life”. (p. 194). But (and it is a crucial “but”) if capitalism is not the one of perfect competition and free trade but capitalism of monopolies then Schumpeter allows that “organized capital may very well make the discovery that the interest rate can be maintained above the level of free competition if the resulting surplus (my emphasis) can be sent abroad” (p. 200). “Organized capital” may realize that it has a lot to gain from having colonies. 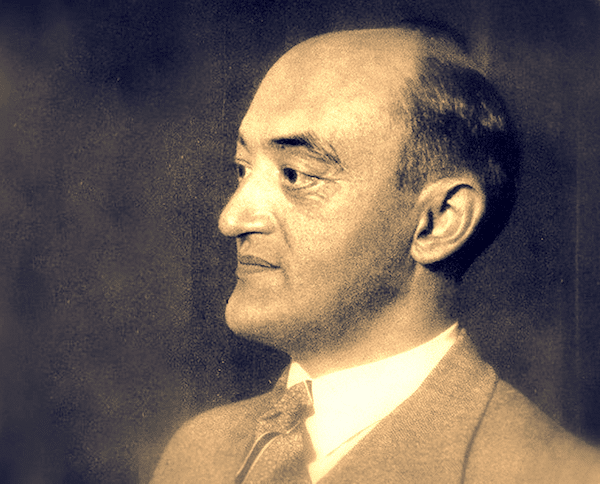 Schumpeter continues “they can use cheap native labor…; they can market their products even in the colonies at monopoly prices; they can finally invest capital that would only depress the profit at home and that could be placed in other civilized counties only at very low interest rates” (p. 201-2)”. Moreover, in conditions such as these “[metropole] generally pours a huge wave of capital into new countries. There it meets other similar waves of capital, and a bitter, costly struggle begins but never ends… In such a struggle it is no longer a matter of indifference who builds a given railroad, who owns a mine or a colony” (p. 201-2). In this description of the role of monopoly capital in fostering colonization and imperialism Schumpeter is hardly a hair’s breadth away from Lenin and Luxemburg. Perhaps so, it could be argued, but these are, according to Schumpeter, special conditions of monopoly (“trustified”) capitalism that cannot be identified with “normal” or “usual” free market capitalism. But this is not what Schumpeter says in CSD. There the point is forcefully made that the key feature of capitalism (what makes it grow) is innovation and that it is possible only if capitalism is monopolistic, or if it is not, innovation itself will lead to monopolies (a thing which we can indeed see today). Further, since monopolistic competition is dynamically more efficient than the textbook free market capitalism, the former will come to dominate and indeed become the normal form in which capitalism will exist and prosper. But if the normal form of capitalism is monopolistic, then the “normal” form of behavior of such capitalism is as forcefully described in “Imperialisms….”: trying to keep the domestic rate of profit above the “natural” level by exporting capital to colonies, aiming to control cheap labor and resources, and likely running into struggle and conflict with other monopolized national capitalisms. So this is the normal modus operandi of capitalism—according to Schumpeter. The contention that perfect competition and free trade would be incompatible with imperialism becomes really irrelevant: even if the contention is valid, it refers to a textbook case of capitalism that, Schumpeter tells us, is bound to lose out and yield to a more dynamic and innovative monopolistic capitalism. Putting these two things together then gives us a reformulated Schumpeter’s theory of imperialism which comes exceedingly close, nay is practically identical even in its emphasis on the low domestic rate of return, to classical Marxist theories of imperialism. Whether Schumpeter would be appalled, or whether he might have been aware of it, is relevant for la petite histoire. But it seems to me that the logical proximity of the two theories cannot be denied.